SACRAMENTO, Calif. /California Newswire/ — On Monday, Calif. 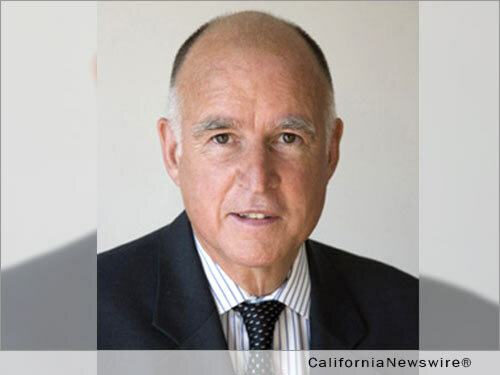 Governor Edmund G. Brown Jr. announced the following appointments: First, Barbara Blake, 63, of Los Angeles, has been reappointed to the California Apprenticeship Council, where she has served since 2012. Blake has been executive director at Labor United for Universal Healthcare since 2013. She was state secretary at the United Nurses Associations of California and the Union of Health Care Professionals from 1996 to 2013, where she was a staff representative from 1986 to 1996. Blake was a registered nurse at the Kaiser Mental Health Center from 1980 to 1986, at Cedars-Sinai Medical Center from 1978 to 1980 and at the Ronald Reagan University of California, Los Angeles Medical Center from 1977 to 1978. She is a member of the California Academy of Physician Assistants, California Association for Nurse Practitioners and the Federation for Accessible Nursing Education and Licensure. This position does not require Senate confirmation and the compensation is $100 per diem. Blake is a Democrat. Jack Buckhorn, 59, of Hidden Valley Lake, has been reappointed to the California Apprenticeship Council, where he has served since 2010. Buckhorn has been business manager at the International Brotherhood of Electrical Workers Local 551 since 2004, where he was a business agent from 1998 to 2004. He was a journeyman electrician for several contractors including Kaiser Foundation Hospital and Contra Costa Electric from 2001 to 2004. Buckhorn was a training director at Redwood Empire Joint Apprenticeship and Training Committee from 1989 to 1998. This position does not require Senate confirmation and the compensation is $100 per diem. Buckhorn is a Democrat. Yvonne De La Pena, 49, of Elk Grove, has been reappointed to the California Apprenticeship Council, where she has served since 2011. De La Pena has been a program director for the California Fire Fighter Joint Apprenticeship Committee since 1990. This position does not require Senate confirmation and the compensation is $100 per diem. De La Pena is a Democrat. Richard Harris, 71, of Villa Park, has been reappointed to the California Apprenticeship Council, where he has served since 2007. Harris has been president at the Residential Contractors’ Association since 1987. He held several positions at Wesseln Construction Company from 1965 to 1987, including general superintendent and apprentice carpenter. This position does not require Senate confirmation and the compensation is $100 per diem. Harris is a Republican. James Hussey, 63, of San Leandro, has been reappointed to the California Apprenticeship Council, where he has served since 2013. Hussey has been chief operations officer at the Sheet Metal Workers’ Local 104 and Bay Area Industry Training Fund since 2010 and president at Marina Mechanical since 1990. He was president at Bay Point Control Inc. from 1980 to 1990 and master electrician at the City of Concord Department of Leisure Services, Concord Pavilion from 1978 to 1980. Hussey was a service manager at Scatena York Company from 1977 to 1978 and at Marina Heating and Air Conditioning from 1972 to 1977. He is a member of the Air Conditioning Contractors of America and the Sheet Metal and Air Conditioning Contractors’ National Association. This position does not require Senate confirmation and the compensation is $100 per diem. Hussey is a Republican. Patrick McGinn, 66, of Glendora, has been reappointed to the California Apprenticeship Council, where he has served since 2011. He has been a senior business representative at the Southwest Regional Council of Carpenters since 2008. McGinn was director at the Southwest Carpenters Training Fund from 2004 to 2008, where he was senior business representative from 1993 to 2004. He was a council representative at the Los Angeles Building and Construction Trades Council from 1989 to 1993. This position does not require Senate confirmation and the compensation is $100 per diem. McGinn is a Democrat. Paul Von Berg, 69, of Newport Coast, has been reappointed to the California Apprenticeship Council, where he has served since 2011. Von Berg was executive vice president at Brutoco Engineering and Construction from 1992 to 2012. He was director of west coast operations at Park Construction from 1987 to 1992. This position does not require Senate confirmation and the compensation is $100 per diem. Von Berg is registered without party preference.